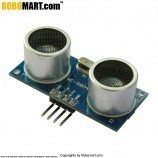 The "ECHO" Ultrasonic Distance Sensor from Robomart is an amazing product that provides very short (2CM) to long-range (4M) detection and ranging. 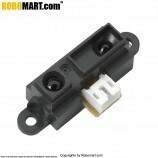 The sensor provides precise, stable non-contact distance measurements from about 2 cm to 4 meters with very high accuracy. 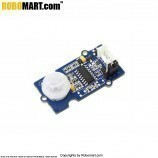 Its compact size, higher range and easy usability make it a handy sensor for distance measurement and mapping. 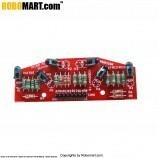 The board can easily be interfaced to micro-controllers where the triggering and measurement can be done using Single I/O pin. 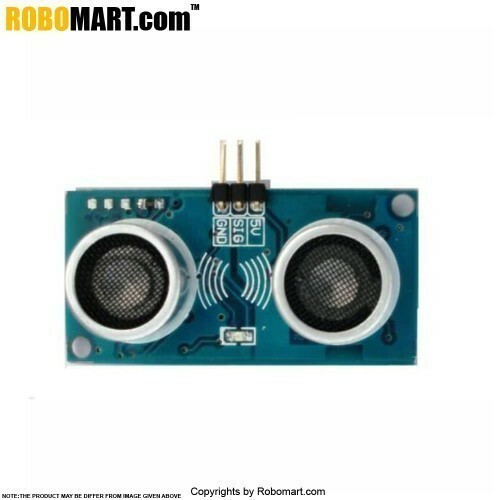 The sensor transmits an ultrasonic wave and produces an output pulse that corresponds to the time required for the burst echo to return to the sensor. By measuring the echo pulse width, the distance to target can easily be calculated. 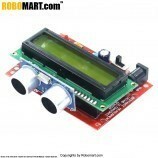 Ultrasonic Sensor mearusres distance of 2 cm to 4 m.
Accurate and Stable range data. Data loss in Error zone eliminated. Modulation at 40 K Hz. Mounting holes provided on the circuit board. Triggered externally by supplying a pulse to the signal pin. 5 V DC Supply voltage. 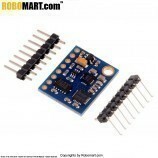 Bidirectional TTL pulse interface on a single I/O pin can communicate with 5 V TTL or 3.3 V CMOS micro-controllers. Echo pulse: positive TTL pulse, 87 µs minimum to 30 ms maximum(PWM). DIY projects for various Robot designs.